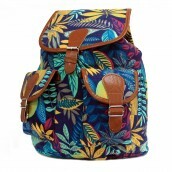 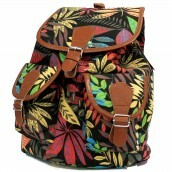 This range of Jungle Bags has everything you need for setting off for the next adventure. 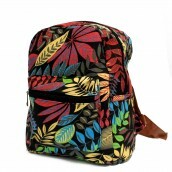 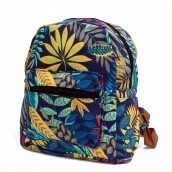 Printed with colourful leaves, each bag is designed to hold your accessories in place leaving enough room for all those essential items for the jungle travel trip or expedition. 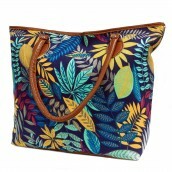 Zip and inside pockets help keep your items organised, while comfy handles make carrying a breeze. 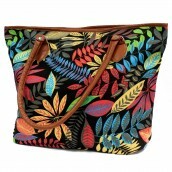 The soft faux leather handles are just the perfect length to fit comfortably over the shoulder or down by your side.